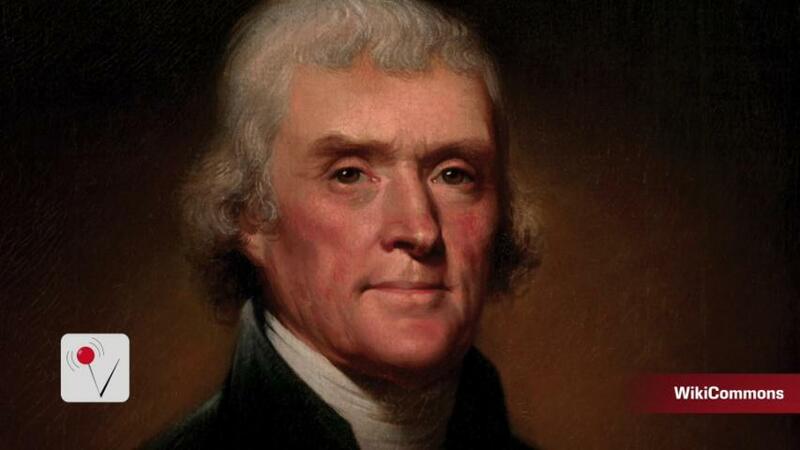 Someone just bought a lock of Thomas Jefferson's hair for nearly $7,000. The Associated Press reports 14 strands of the U.S. president's hair sold at an auction in Texas for $6,875. The hair was supposedly cut by Jefferson's physician at the time of his death a 190 years ago. The documentation includes a letter confirming the lock as a part of a limited number of hair samples known to exist. Other known samples belong to the Library Congress and Monticello, the home of Thomas Jefferson. In this photo provided by the Obama Transition Office, U.S. President-elect Barack Obama poses for an official portrait on January 13, 2009 in Washington, DC. US President Barack Obama speaks in the Grand Foyer following a meeting with senior intelligence officials and cabinet members January 5, 2010 at the White House in Washington, DC. US President Barack Obama delivers remarks at the Rose Garden of the White House in Washington, DC on November 7, 2011 on tax credits included in the American Jobs Act and new executive actions that will help get veterans back to work. In this handout from the White House, official portrait of U.S. President Barack Obama in the Oval Office on December 6, 2012 in Washington, D.C. US President Barack Obama announces his nominee for the Federal Housing Finance Authority, North Carolina Democrat Representative Mel Watt, and his nominee for the Federal Communications Commission (FCC), venture capitalist Tom Wheeler, in the East Room of the White House in Washington, DC, on May 1, 2013. U.S. President Barack Obama hosts a St. Patrick's Day reception for Prime Minister Enda Kenny of Ireland and his wife Fionnuala O'Kelly in the East Room of the White House March 14, 2014 in Washington, DC. US President Barack Obama speaks at an event marking the 5th anniversary of the Affordable Care Act in Washington, DC, March 25, 2015.